Another month of activity continues to show overall reductions in Pending and Closed Single Family Home sales, yet increases in Median & Average Sale Prices. Within 6 months, future overall comparisons to prior year data will be more normalized, as foreclosures and short-sales will be at near the same levels. 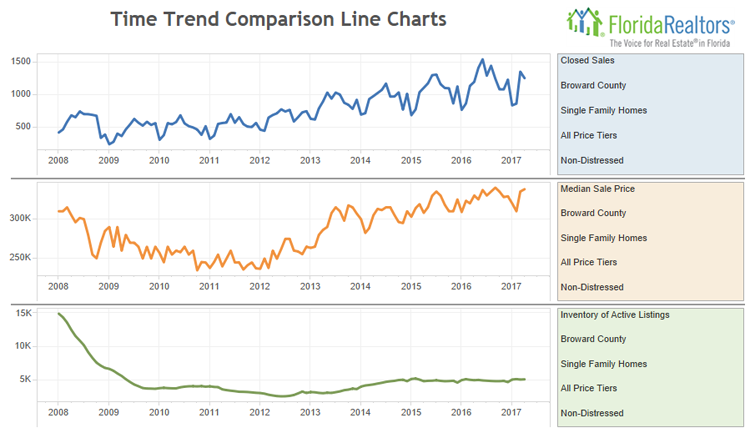 Inventory levels are still below 2016 levels, with the exception of homes priced above $400,000. Traditional home sales (excluding foreclosures and short-sales) increased by 4.8% over last April. 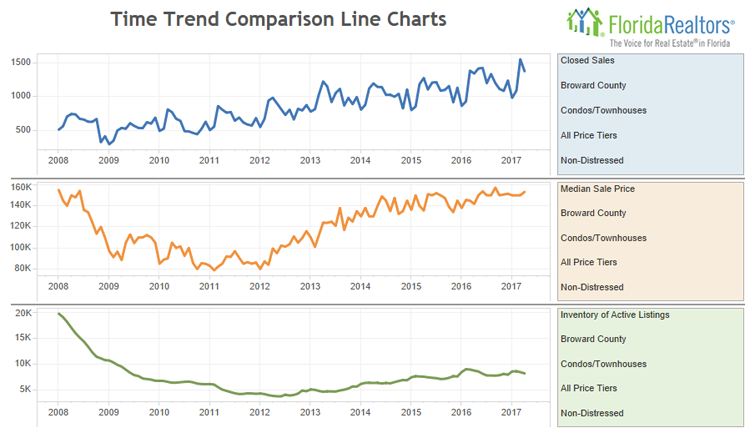 As shown in the below chart, inventory levels for non-distressed property is nearly flat for the past year, with small deviations in specific quarters. 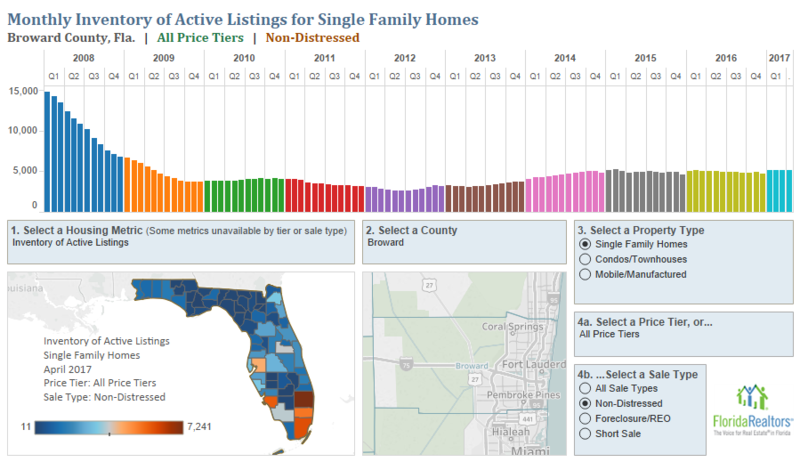 The largest reduction in inventory are for homes priced under $200,000. Inventory levels for homes between $200,000 and $400,000 range between 2.6% and 5.3% lower than in 2016. 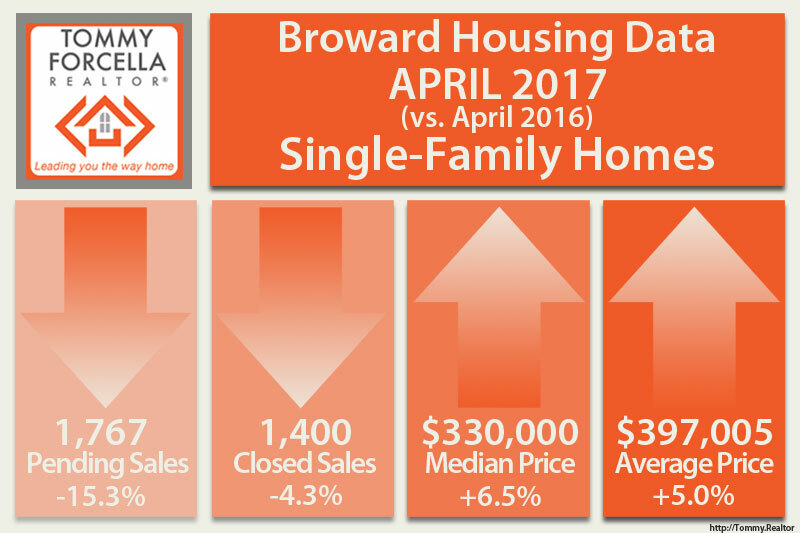 In Broward County, overall it continues to be a Seller’s Market, with 3.9 months supply of inventory which is the same value as in 2016. If you find a home you like, don’t hesitate making the offer! 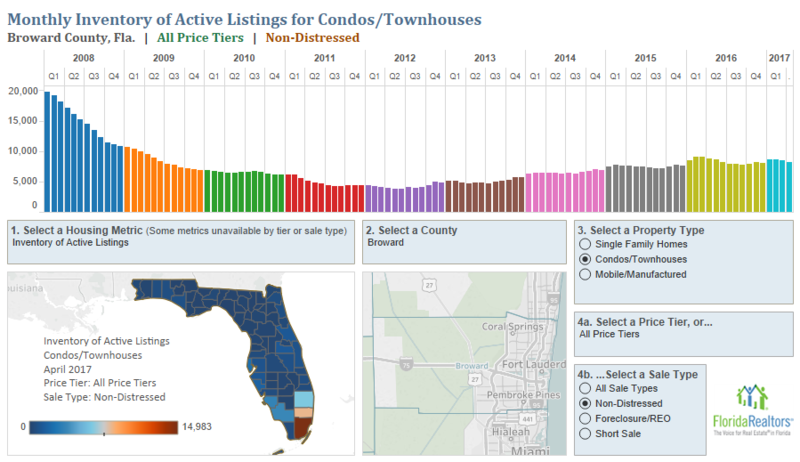 The condominium and townhouse market in Broward County is not suffering from the large inventories seen in Miami-Dade. Excluding distressed properties, the Broward County condo market in April 2017 shows increases in many key metrics such as Closed Sales, Median & Average Sale Prices. Unlike single family homes, or fee simple townhomes, condominiums or townhouses in a legal condo association are harder to obtain financing for due to specific Fannie Mae regulations that lenders must adhere to when evaluating a condo purchase. Most buyers looking to purchase a primary residence must put 20% down, and buyers purchasing a vacation condo must have 30% down. This can be a result of low reserves or low reserve funding, lawsuits against the association, lack of rental restrictions and other factors. Inventory levels are 9.3% lower than in 2016. It’s a Buyer’s Market with 6.1 months supply of inventory. Notes: Statistics for each month are compiled from MLS feeds on the 15th day of the following month. Data released on Wednesday, May 24, 2017.